The Times discusses the Netflix remake of the 1960s series Lost in Space, starring Toby Stephens. At age twelve, I discovered Jane Eyre by Charlotte Brontë and for several years, I was Jane Eyre, in my imagination. It wasn’t far from the true. My family had fallen on hard times. Experiencing poverty is something one never forgets. It would not be my life story. À Pala de Walsh (in Portuguese) features Douglas Sirk's 1957 film Interlude. 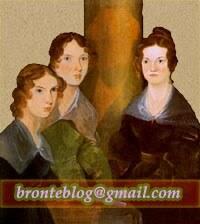 Yesterday was the birthday of Maria Brontë (née Branwell), mother of the Brontës, and AnneBrontë.org celebrated it with a post about her.